In 2016, IFFI created a special Film Section, wherein differently abled children were given a chance to experience the wonders of cinema. This was created in collaboration with UNESCO and Saksham, under the Accessible India Campaign and Sugamaya Bharat Abhiyan. Saksham is a Delhi-based NGO established in 2003 by Dipendra Manocha & Rummi K. Seth. It focuses on helping those with disabilities lead more comfortable lives and they also help make things more accessible to them, through a variety of strategies. Through providing these movies that had audio descriptions for the blind viewers and subtitles for the deaf viewers, Saksham helped give these children an opportunity that they never had before. The 47th edition of IFFI broke barriers across India by becoming the first ever Indian Film festival to screen audio descriptive movies. This one move has helped children across India, who never thought they would be able to enjoy a movie, witness something spectacular. Gandhi, Bhaag Milkha Bhaag and Dhanak were the first three audio descriptive movies screened at IFFI in 2016. Last year, the two movies screened were Hindi Medium and Secret Super Star. 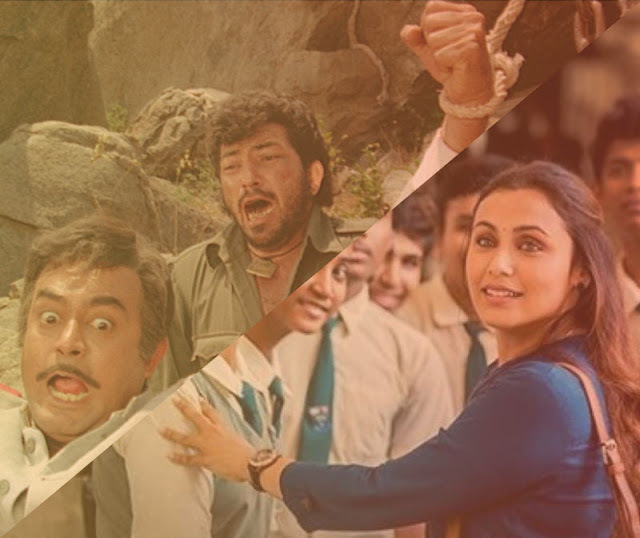 Since they are both movies that revolve around children’s lives, the IFFI committee felt that it would have a positive impact on the children and it would resonate with them. This year, the movies that will be showcased under this section are the Bollywood classic ‘Sholay’ and the highly talented Rani Mukerji starrer ‘Hichki’. Along with these two movies there will be a special presentation of Tunisian films, to expose the children to foreign cinema. IFFI 2018 is a culmination of cinema from around the world and it aims at showcasing stories from all walks of life. It will be held in Panjim, Goa over the course of nine days, that is from the 20th of November to the 28th. The 49th edition of IFFI will be carrying on this Film Section that was specially curated to bring joy and happiness to children who are differently abled.